Prime Minister Narendra Modi’s most telling photograph that comes to mind is from 2011 when he refused to wear a skull cap offered by a cleric in Gujarat. It was inconceivable then that one day mosque visits would form an essential part of Modi’s itinerary during his tour to Muslim nations. In Dubai (United Arab Emirates), Oman and more recently Indonesia and Singapore, he visited famous mosques and even agreed to wear a green religious chador without a fuss. These were either diplomatic compulsions or meant to tell Muslims in India that he was not averse to accepting them. Muslims were more amused than convinced with the apparent transformation in the PM as he is yet to visit any mosque in India and his party persists with its policy of dividing the society on communal lines and prepares accordingly for the 2019 elections. 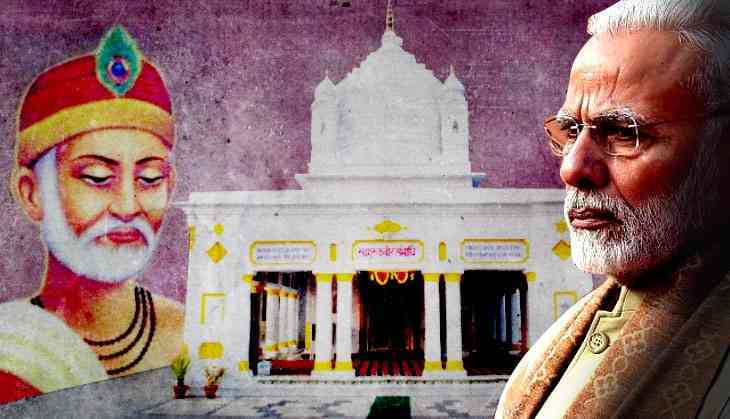 Modi is now scheduled to visit Maghar, the place of nirvana of 15th century mystic poet Kabir, in the Sant Kabir Nagar district of Uttar Pradesh on June 28 to lay the foundation stone of Sant Kabir Academy. Unlike the Bharatiya Janata Party (BJP) and its leaders who advocate religious divide, Kabir was a secularist extraordinaire who preached through his verses that Ram and Rahim reside in one’s heart and was against muezzin’s daily call to worshippers or noisy invocations to God in temples. Such was Kabir’s appeal across religions that Maghar has a temple built by his Hindu disciples while his Muslim followers have a mazar in his name. With Guru Granth Sahib also having Kabir’s verses, a local gurudwara conveys the saint poet’s message. According to a senior BJP leader, the PM was visiting Maghar to spread Kabir’s message of oneness. That may not be entirely true. The PM’s aim would be to win over weavers, who are Muslims, and Other Backward Classes (OBC) who form a bulk of Kabir’s followers. The move seems to have been necessitated after setbacks in Noorpur and Kairana bye-elections in which OBCs are said to have deserted the party. With the Samajwadi Party and the Bahujan Samaj Party joining hands, the BJP is trying to revive its social engineering formula to neutralise the political combo. While the PM’s Maghar visit will be keenly watched, the state government led by Yogi Adityanath, who bluntly said he does not believe in celebrating Eid, is subtly pressing ahead with his religious agenda. At its meeting held a couple of days back the state Cabinet decided to ban sale and consumption of alcohol in five areas in Mathura – Barsana, Radha Kund, Gokul, Nandgaon and Baldev. Chief Minister Adityanath also called pro-temple seers, who are upset with the Modi government for not keeping its promise of building a Ram temple, for talks. Those called include Mahant Nrityagopal Das and Mahant Suresh Das, who has warned that the BJP would be defeated in elections if the temple was not built. Meanwhile, the state government is pulling all stops to make Dev Deepawali at Ayodhya, Holi in Vrindavan and Kumbh at Allahabad international events. Work on Navya (new) Ayodhya and a 108-metre tall statue of Ram along the Saryu River are in progress. A Pravasi Diwas (NRI Day) is scheduled to be held in Varanasi in the last week of January 2019 when Lok Sabha elections would be close at hand. While talking development with them, the government plans to take foreign diplomats for a holy dip in the Sangam. Talk on progress will clearly have a religious overtone. Likely renaming of Allahabad as Prayagraj before Kumbh will be the highlight of that approach.